Come out and join us for the Nanaimo Free Learner’s and Pop-Up Adventure Playground’s pop-up playground! This fun filled day is a great opportunity to support the Nanaimo Free Learners, Maple Hill, and provide children in our community with a free playing space where they can build, create, and interact in a completely child-directed environment. What is a pop-up playground? Pop-up playgrounds are childhood creativity at their finest. Completely temporary in nature, they give children an opportunity to build, create, make, and do with a variety of open-ended materials like cardboard, rope, duct tape, rope, things on wheels, fabric, tarps, and all sorts of odds and ends. Some will create a cardboard village out of appliance boxes, some will build castles or swing sets, others will create a suit of armour or an obstacle course. The possibilities are quite literally endless and you will be amazed at how patient and focused your child will become when they are hard at play! Pop-up playgrounds are staffed by volunteers that are present to help and keep everyone safe, but not to direct. Children are in charge of their own creativity and it is our job to sit back and let the magic happen! The Nanaimo Free Learners believes strongly in a child’s right to play. As the primary means through while children learn, grow, and make connections, play is vital component of childhood. Without access to independent, self-directed and outcome-neutral play opportunities, children can encounter social, sensory, and problem-solving issues. Research continually proves that children learn best throug h meaningful, child-directed play experiences where they are able to foster social, cognitive, emotional, and physical skills, practice problem-solving skills, and make real-word connections. It is our goal to both educate our community on the necessity of play, and to create a variety of opportunities for children in Nanaimo to experience genuine self-led play. Entrance to the pop-up playground is by donation. All donations are used to support the Nanaimo Free Learners and Maple Hill Free Learning Centre on our quest to provide ethical and child-focused education alternatives and play opportunities. Donations: The more supplies we have, the better our pop-up playground will be! We are looking for donations of things like cardboard boxes, tinfoil, packaging materials like bubble wrap and tape, rope, string, fabric, kitchen utensils, lumber scraps (clean, untreated, and free from dangerous pieces), craft supplies such as paint, scissors, and markers, recycling such as plastic bottles, yogurt lids, and Tupperware… pretty much anything! Join us: Want to volunteer? Let us know! Or, just come out and chat with us about non-coercive education, play, and children’s development. Spread the word: Let everyone you know that you’re coming to Nanaimo’s first pop-up playground! Feel free to share the poster on social media, at your child’s school, daycare, or extra curriculars, or with your friends and neighbors. Just like supplies, the more children that are there to play with, the better our playground will be! Financial support: Our pop-up playground is a fundraiser to help support the NFL and MHFLC. If you feel passionately about children’s rights to ethical education and play, please consider making a donation to help us keep doing what we do. We want to hear from you! 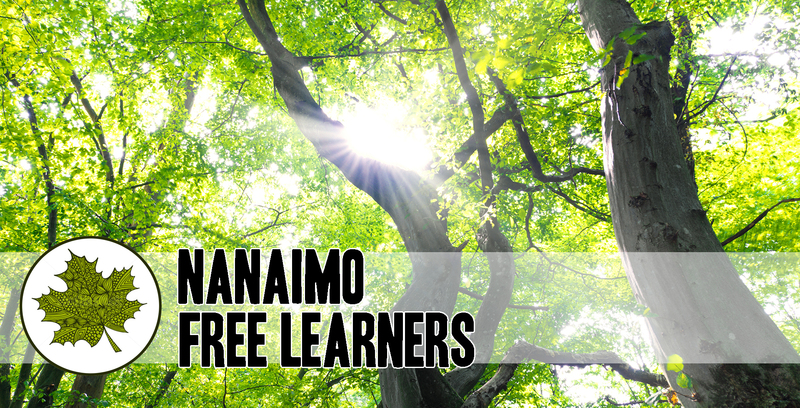 Send us an email at nanaimofreelearners@outlook.com or give us a call at 250-618-3676.